They call it Grand Bahama for a reason. If it’s “Better in the Bahamas”, then Grand Bahama is the best of the best. Golf? How are you on courses designed by Robert Trent Jones, Jr? Looking for a casino? Check. Las Vegas style with all the table games. Paragliding with a GoPro to capture the action? Got that…buckle up! Want some duty free items? Why do you think they call it Freeport? Whatever is on your mind, let us turn it into your next adventure! Designed by Robert Trent Jones, Jr. and opened December 2000, the Reef Course in Freeport is 7,000 yards of wide greens, deep bunkers and enough water hazards to make you give the game up. But the large rolling greens are forgiving, if not some of the most picturesque in the Bahamas and Caribbean islands, so that helps! 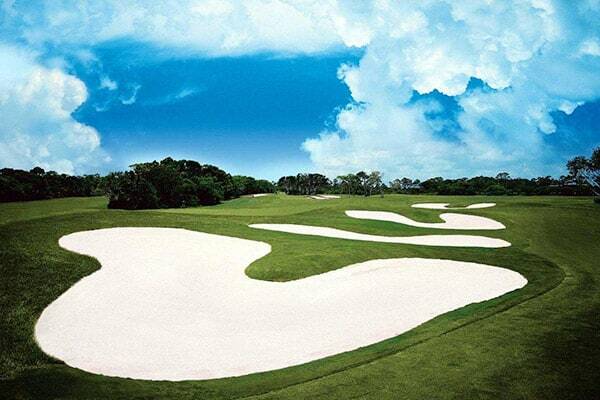 The talented group that made the course a reality is Total Golf Construction, based in Vero Beach, FL. The Par 72 Championship course is open 10:00 AM daily to 6:00 PM. Off the Blue tees, the course is rated 74.2 and plays to its 6,930 yardage. To view a copy of the course score card, click here. Tee times and cart rental arrangements can be made through the Activities Desk at the resort, or calling the course directly at (242)-373-2003. Las Vegas has more casinos, and Grand Bahama has more beaches…so we’ll call it a push! But you can bet on having a great time at the Treasure Bay Casino located just steps outside the sprawling Our Lucaya resort in Freeport. This 35,000 sq. ft. casino provides non-stop gambling fun. 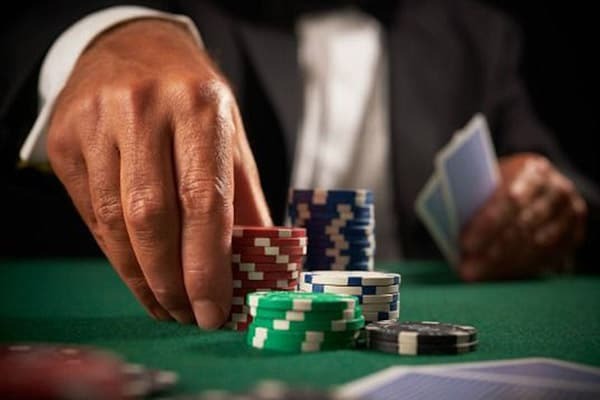 Try your luck at a variety of slot machines or try your hand at one of your favorite Table Games featuring Caribbean Stud Poker, Craps, Blackjack, Roulette, Three Card Poker or Mini Baccarat. Win or lose, the casino on Grand Bahama Island add up to an exciting evening. Whether is paragliding or windsurfing over the aquamarine blue waters of Grand Bahama, skipping along the waves in a jet ski or skimming atop the waves atop a banana boat, the Activities Desk at the resort has you dialed in for all your watersport needs. At Old Bahama Bay, a Guy Harvey Outpost Expedition Property, the pace is a bit slower. Full selection of non-motorized watersports is available including ocean kayaks and Hobie cats. Grand Bahama is roughly 100 miles long, running West End and Old Bahama Bay Resort to McLeans Town, the island’s easternmost settlement. One of the most relaxing ways to see the island is to rent a car and strike out for a day of sightseeing and beachcombing. Car rentals are available locally in West End. International car rental agencies such as Hertz and Avis are located at the International Airport arrival terminal in Freeport. For the less ambitious, but more athletically inclined, try a bicycle! They’re complimentary to all resort guests. For guided bike tours of West End, we recommend Calabash Eco Adventures. A “must do” if you want a unique Bahamas Experience is a Native Fishing Adventure – Full day includes diving for conch and lobster and fishing plus cleaning and cooking the catch. Unforgettable day out. Catch can be taken to Teasers to have it prepared as a meal for an additional fee. Visit a deserted island with nothing but snorkeling gear and a picnic. Participate in making fresh conch salad and play with the local stingrays. A truly memorable day out. 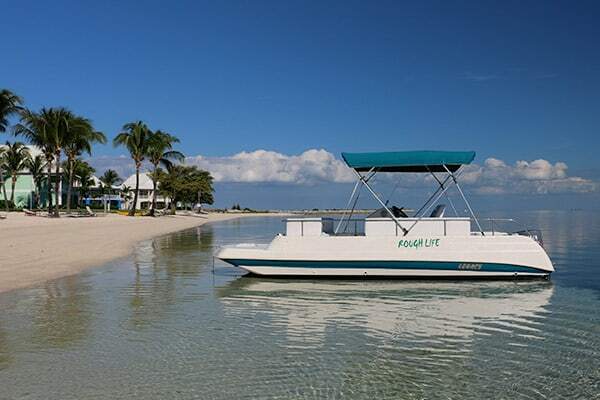 Sip on a cool Bahama Mama while you cruise the north coastline of the Village of West End. Listening to the island music, Captain Kenneth will narrate tales of the old days that put West End on the map. Bahamian Cocktails included. $65 Per Person; Kids under 18-$45 – 2 hours (Minimum of 2 passengers). Shopping can be a contact sport for some, and in 1992, the Bahamas joined the big leagues when it removed the import duty on 11 categories of luxury goods. Perfumes and fragrances, crystal, leather goods, jewelry, fine linens and tablecloths, watches and clocks, photographic equipment, china, binoculars, and telescopes are all duty free. 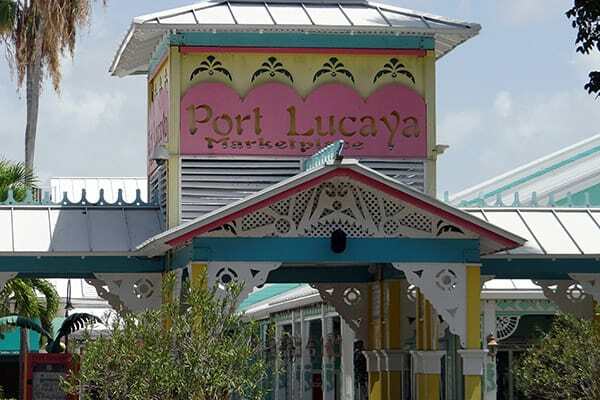 Port Lucaya Marketplace is Grand Bahama’s main shopping district. You’ll find dozens of specialty duty free boutiques, restaurants, entertainment and the ever popular straw market. The Count Basie Square at Port Lucaya offers live evening entertainment after a long day of shopping. For a complete listing of shopping opportunities at the Marketplace, click here. The art of straw work is one of the oldest industries in The Bahamas. Beginning in the 1700’s, straw creations flourished with the rise of the tourism industry on in The Bahamas. Nowadays, there are many unique straw, wood and shell creations to purchase. 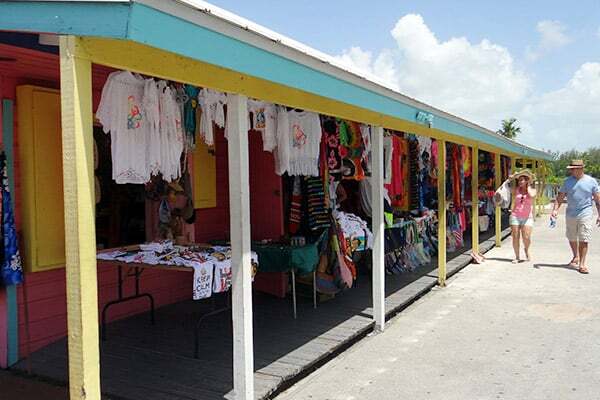 Take a peek and discover many locally handcrafted items such as baskets, hats and mats and other beautiful souvenirs.